January often feels like the longest month in Banff, days are short and cold, and whilst there are plenty of lovely cosy places to warm up with a delicious hot chocolate, it’s the time we naturally start dreaming of the next season, summer, and warmer days ahead. it’s not that we wish away one season or another, more that there’s always something to be looking forward to. My next few posts will concentrate on summer activities I’m dreaming of, plans I’m making for the year ahead, and the constant excitement and anticipation that living in the mountains brings..
There’s something special about standing on top of a mountain. Some mountains can be summited on two feet, by hiking to the top. Others require ropes and climbing skills. Some fall in between these two, and whilst they don’t require a rope it certainly helps to know a bit about body position, balance and have a head for heights. This is scrambling. 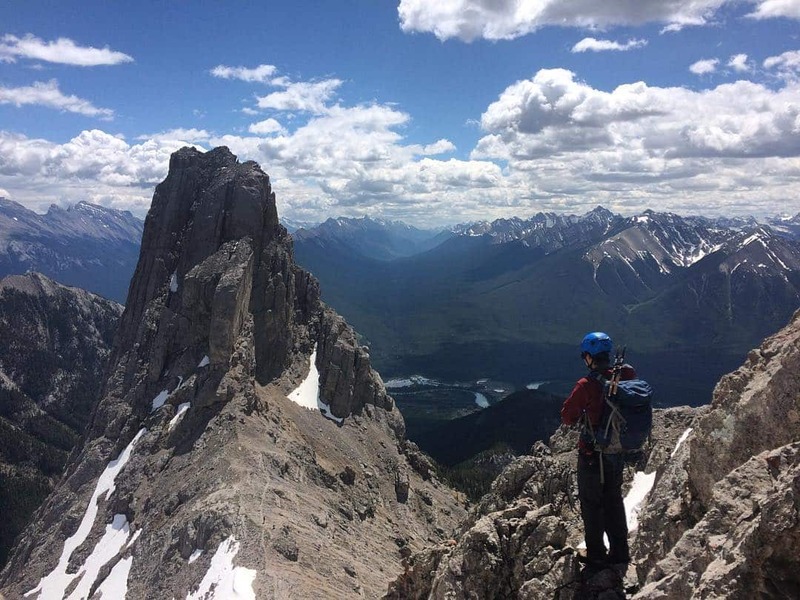 I pushed my scrambling limits this summer with a trip up Mount Edit on the outskirts of Banff. It’s an exhilarating and challenging way to explore the mountains, and not for the faint of heart. I bailed out of the first summit as it required a 3-4 foot leap over a fairly long drop, and I just couldn’t get my head around it. If I had to make the jump on a flat surface I could do it blindfolded, but in that situation it just wasn’t happening! Definitely one of my most memorable trips from 2017. 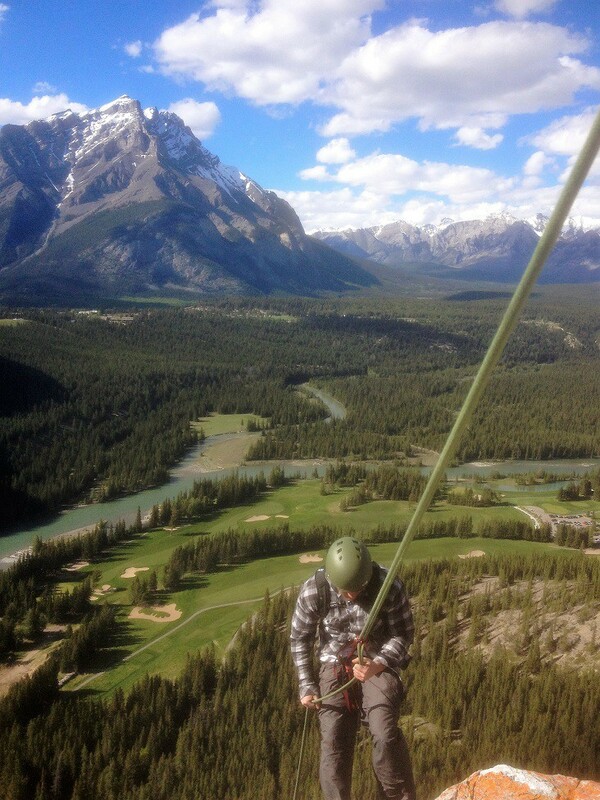 One of the easier scrambles I have done is up Mount Field in Yoho National Park. This is right alongside Mount Burgess and the world famous Burgess Shale. Now, with scrambling routes you’re often scurrying around in scree fields, so it’s quite easy to get off trail a little bit. We had to do a small amount of bush-whacking to get back onto the trail, and in the process must have triggered a hidden sensor or remote camera (because those exist!!) and we were met in the car park by a stern looking park warden asking to search our bags! Apparently the Burgess Shale is so famous that people go to great lengths to steal fossils found there and sell them on the black market. If you are caught I’ve heard of fines of over $8,000… you have been warned! 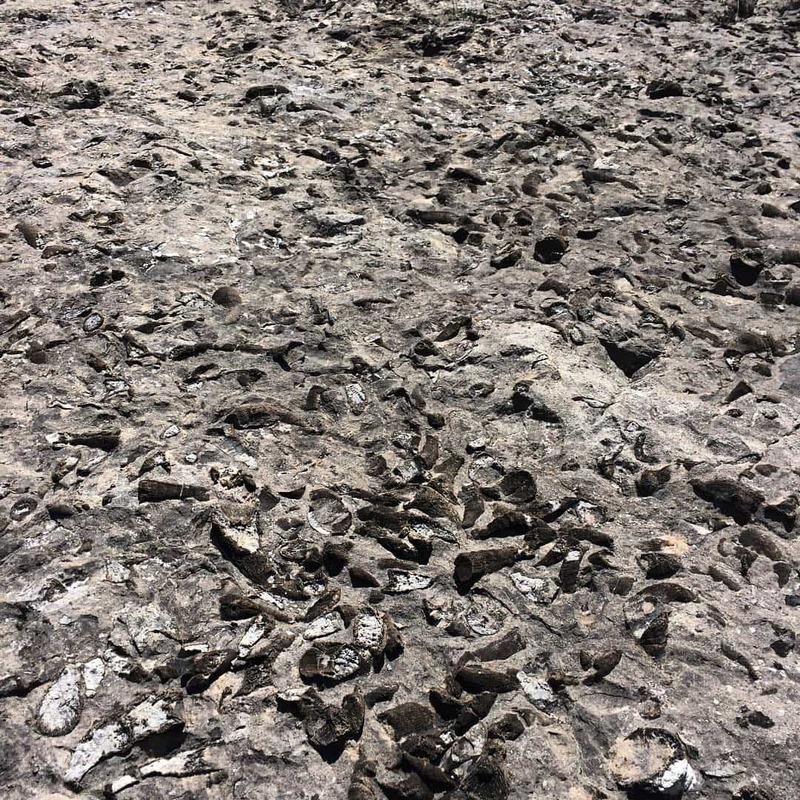 Whether scrambling, climbing or even canoeing along a river, I’ve often stumbled across fossils in the most unusual places. I have to say the funniest is when you’re stressing about where the next hand hold is on a rock pitch and suddenly you notice you’re clinging to a rock face covered in ancient fossilized creatures! Alberta, and the Rocky Mountains, are still revealing secrets of ancient history, during the biblical floods we endured in 2014 a dinosaur skull was washed up a hundred kilometres away from Banff! 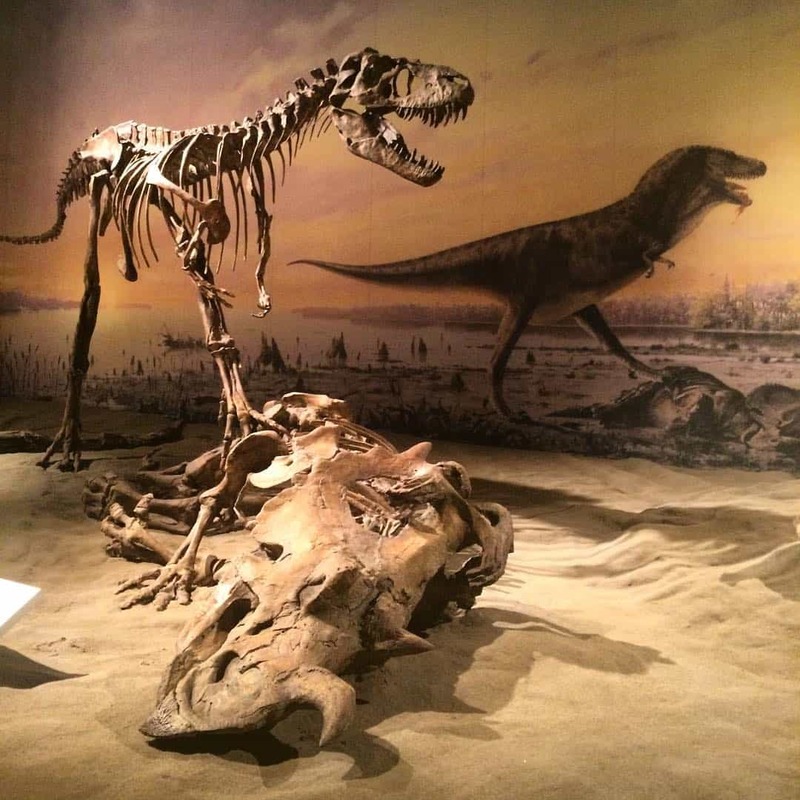 This is now being meticulously cleaned and put on display in the Royal Tyrell Museum in Drumheller, which houses the most incredible array of fossils found in the local area. It’s a hilarious word for an incredibly funky looking rock formation (and also a dodgy nightclub in Banff)! After the glaciers travelled through, carving out these majestic valleys, they left behind different kinds of rocks. 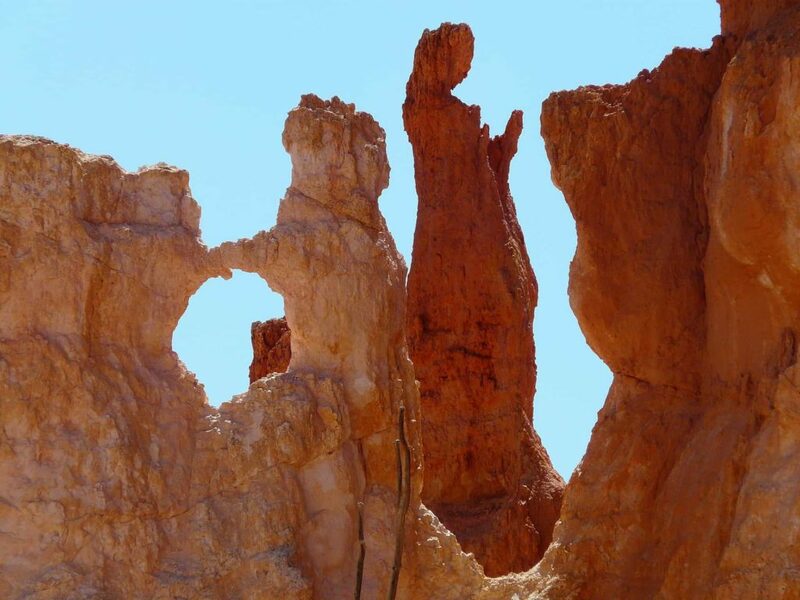 Hoodoos form when a rock of harder composite forms a “cap” over softer rock. The surrounding rock is eroded away, but the pressure from the cap adds strength to the rock below making it resistant to the same erosion. Over time, the ground around it shrinks away leaving a tall pillar of rock with a larger stone on top of it. They often bear resemblance to other things, like meerkats or even people. The Rocky Mountains are any geologists dream, formed by fold-thrust mechanisms in the earth’s crust, the Rocky Mountains used to be sea beds which were thrust up into the heavens by plate movements. Then, glaciation carved out U-shaped valleys leaving behind all kinds of phenomenal rock formations. 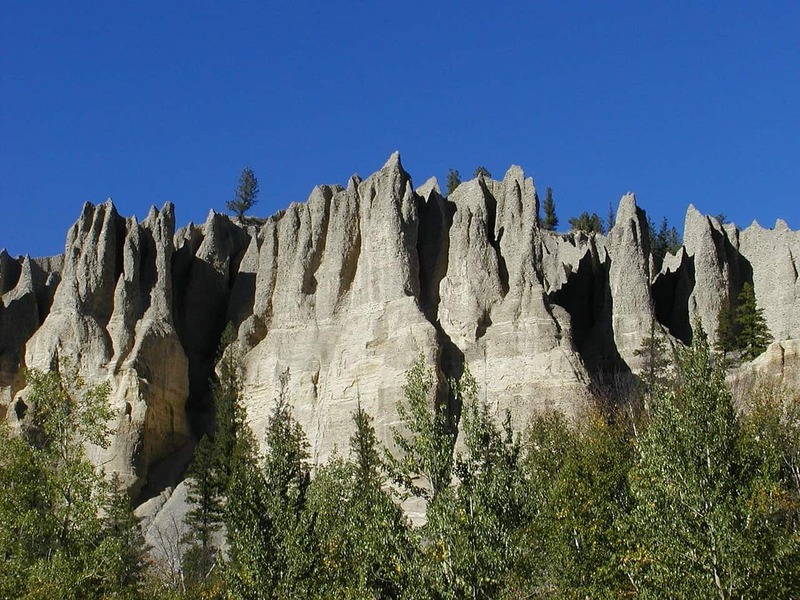 From hoodoos, mentioned above, to all different kinds of moraines, caves, hot springs and fossils, this area is fascinating not only from a physical standpoint, but also historically important and revealing more year by year.